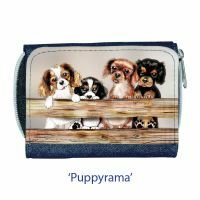 This attractive ladies denim purse is available in two versions, both exclusive to Cavalier Matters. 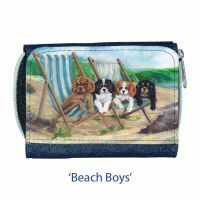 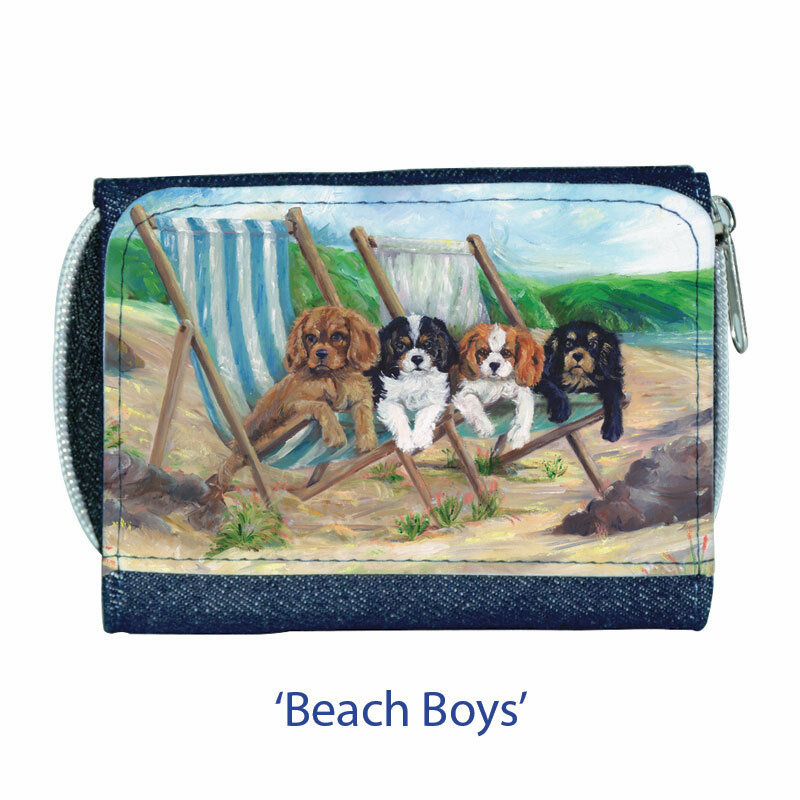 Choose from the sunny Beach Boys image, or our very new Puppyrama image with the pups at the fence. 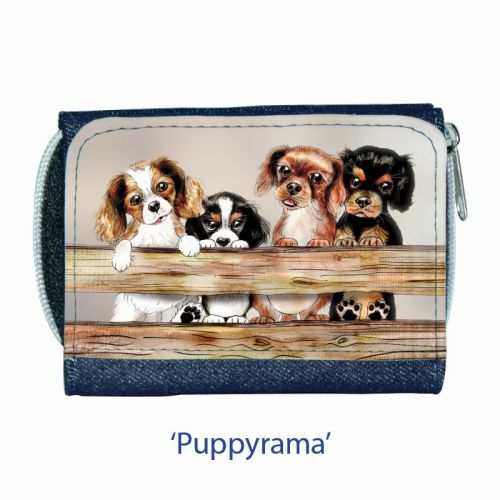 The purse features a fully zipped back section with two internal compartments suitable for coins. 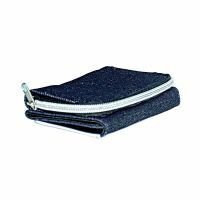 Inside the flap section there are 4 credit card holders and a clear cover window for photo IDs such as driving licence. 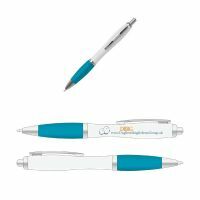 There is another section for notes. 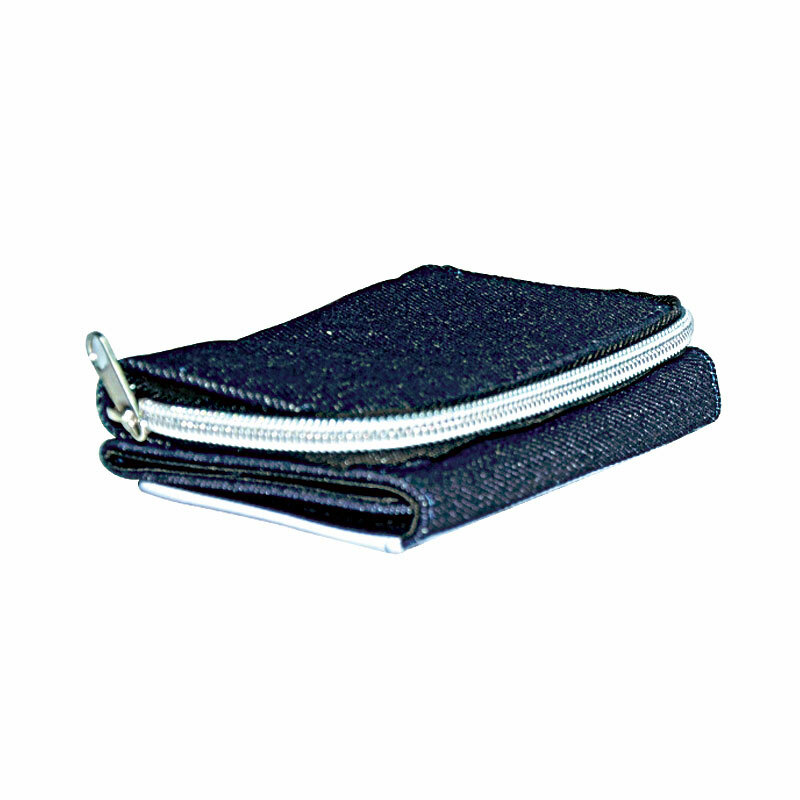 The flap section is held in place by a silver-coloured magnetic clasp.